While some colleges are no longer requiring test scores for admittance, many still require students to submit their scores on either the SAT or the ACT. Particular schools and programs may also require students to take SAT Subject Tests. Learn what to expect from each test, how to prepare, and how to choose which test is right for you. Students often take the PSAT/NMSQT during the fall of junior year as practice for the SAT. Students with high scores may qualify for the National Merit Scholarship Program, be invited to submit an application to become a finalist, and, subsequently, be awarded scholarship money. Students who want to start practicing for the SAT earlier may be able to take the Preliminary SAT as early as eighth grade. The SAT and ACT are aptitude tests that measure a student's ability to succeed in college. 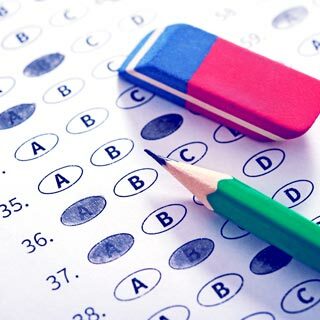 Scores for one of the tests are therefore required for admission to most colleges. 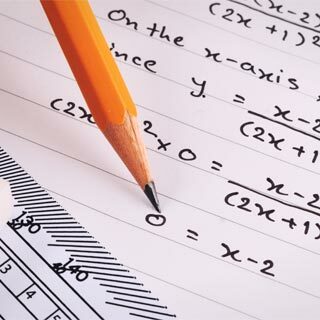 The tests are similar in structure, both testing reading and math with an optional essay section, but the ACT also covers English and science. Schools typically don't have a preference between the tests, so plan to take the one you're most comfortable with. The SAT is the oldest standardized test that is still used today. It consists of two timed sections, evidence-based reading and math, and an optional written essay. Generally, students should aim to take the SAT during their junior year so that they have time before college applications are due to retake the test if their scores aren't as high as they'd like. Students who excel in academics over logic and vocabulary may benefit from taking the ACT, which measures a student's abilities in reading, English, math, and science. There is an optional writing section, which may be required by some colleges. Students should plan on taking the ACT during their junior year so that they receive their scores in plenty of time for college admissions. Taking the test more than once is generally beneficial to a student's scores. SAT Subject Tests are not always required for college admission but may enhance a student's application. Like the name suggests, SAT Subject Tests test the material from a specific class subject. Tests are offered for foreign languages, science, math, literature, and history. If you have a low SAT or ACT score, submitting high scores on SAT Subject Tests may help make up the difference.